Any webmaster that suddenly finds his or herself without consistent traffic to a website or blog may need to re-evaluate their goals and objectives. In most cases, a failure to thrive in a given search category or niche is the result of improper planning. There will come a time, however, when you may not be satisfied with the progress you have made in SERPs and need to find fresh ways to generate new links and added PageRank. 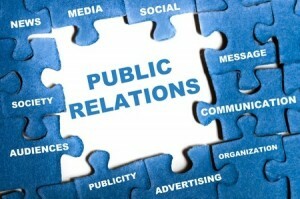 Public relations measures can be a great way to get your message out to new audiences, make a positive impression and gain a valuable short-term burst in traffic and attention. Below, we will discuss some ideas for PR that can help you improve SEO in the short and long-term. One of the best ways in which a company, website or blog can generate publicity for itself is to engage in some form of charitable giving. This can take a variety of different approaches. Direct financial contributions can gain some attention but do not help tell a broader story about your company and its involvement with the charity or cause. Some entities may plan a volunteer day of action to help support a cause, which can be incredibly good for PR as individuals share, discuss and plan to attend your events whenever they are advertised. The resulting increase in backlinks and mentions throughout social media will lead to more people and websites pinging your website, which will enhance search engines’ perceptions of your brand. Any sort of promotion, giveaway or contest can be a sure fire way to attract local or national attention, depending on the type of contest and the prize being offered. Many brands use contests as a way to encourage further interaction with their websites or social media in exchange for a prize. With the biggest social media platform, Facebook, recently revising their strict contest rules to allow for more flexible opportunities, any brand should definitely consider the implications that social media combined with your web presence can bring in terms of SEO. Search engines love to see social signals and the resulting backlinks from positive PR will only enhance this effect. Your brand or business may comprise just one person or could employ hundreds, but a spokesperson for the company can do wonders in articulating its vision and showcasing the expertise of the brand in relation to its mission via guest spots on other websites. Anyone who has expertise in a certain area should be pinging your website with content that outlines one of a number of concerns or subjects, such as fundraising, honest reviews of a particular product or service, or valuable tutorials that may relate to your product or service. These opportunities should not be viewed as instances to plug your own brand, but opportunities to use authority to build links from other websites to your own. Guest posting, charity events and contests can all be great ways to increase the amount of attention you receive while also boosting your credibility with key search engines. Each one of these events presents an opportunity to create new backlinks, generate added social buzz and drive traffic to your website that might not otherwise know it existed.